SSC CGL 2017 Application Form releases online. You can submit SSC CGL Application Form at ssc.nic.in. There is only one mode for SSC Combined Graduate Level (CGL) Application Form – online. Staff Selection Commission has extended the date for application form of SSC CGL 2017 to 19 June 2017. If the fee is paid by challan, then challan must be downloaded before 5 PM on 19 June 2017, and payment through it can be done up to 21 June 2017. Combined Graduate Level examination is held for recruitment in Ministries. By submitting SSC CGL 2017 Application Form, you can appear in Tier I (computer based exam) which is scheduled to be held in August. Keep login credentials safely as they will be required to download Admit Card of SSC CGL 2017. 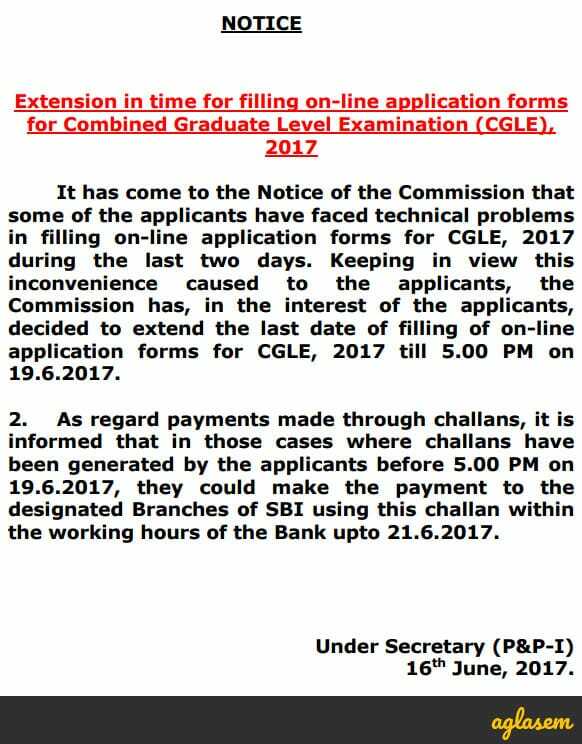 Application Form of SSC CGL 2017 is available. Apply Here – Click here to fill SSC CGL 2017 Application Form. About SSC CGL 2017 Application Form – The Staff Selection Commission (SSC) is going to conduct the Combined Graduate Level Examination, which is a graduate level test designed in 4 tiers for selecting candidates for different categories for the posts invited in various Ministry / Departmental/ Organisations. 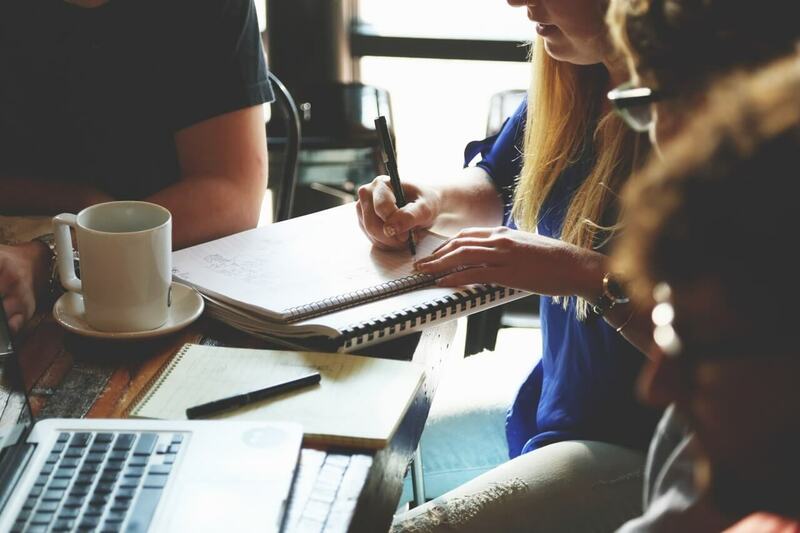 These posts are subject to administrative / public exigencies, and final selection will be done through the Combined Graduate Level Examination. The candidates who want to apply may reach the official website at ssc.nic.in and fill the application form. Rs. 100/- will be charged for the unreserved and OBC category while women candidates and SC/ST/PH category candidates are exempted from paying any fees. The candidates who are going to appear for the examination will need to register themselves first. The online web portal of SSC CGL is active for filling the application form as per schedule. Applicants are required to read the instructions carefully before making any entry or selecting options. Furnish the required details while filling up the online form. The fields which are mandatory are marked with * (asterisk) sign. Now the Registration No. will be generated. Note down your unique registration number or you may also save the page by taking a print of it. Enter the Registration number and Transaction ID of the Bank issued by the commission properly in the relevant space. Now upload the scanned signature and photo as per instructions. Incomplete online application will be rejected summarily. File Size- digital size of the file should be less than 12 kb and greater than 1 kb. File Size- digital size of the file should be more than 30 kb and less than 50 kb. The fees can be paid only either in the form of challan which will be generated on line, or through SBI Net Banking/ through any Credit or Debit Card. please note that Fee once paid will not be refunded under any circumstance. Those who want to pay online through SBI net banking/Credit or Debit cards, can go directly to the link and pay the requisite fees. To pay fee in cash, take a printout of the challan generated online after submission of the online application form and deposit the requisite fee in any branch of State Bank of India. After the submission of the application fees, the candidates will receive a message via SMS mode and Email mode to confirm the same. Retain a Copy of this email to be produced before the Regional Office in the event of any discrepancy. Please note that after the final submission and confirmation message being sent there will be no provision for making any online editing or correction in the online SSC CGL Application Form 2017 under any circumstances. Also keep a copy of the challan through which fee will be paid. If you have any queries regarding SSC CGL 2017 Application Form, please ask in comments below.